St. Paul prayed that the Philippians would “discern what is of value” (Philippians 1:10) as they continued to learn what it meant to live their faith. The same is true today. As catechetical leaders we need to regularly step back from our ministry and evaluate the effectiveness of our efforts. We must determine what is of value and decide on any improvements or changes we want to make. We must gather information, review the year, and check whether we are headed in the right direction. The process of evaluation is an opportunity not just to critique, but also to dream. It’s about reality and possibility. Many catechetical leaders miss the opportunity for feedback by evaluating only their largest area of responsibility—the September-through-May religious education program. While that is certainly an important program to assess, keep in mind that DREs/CREs are also responsible for a multitude of shorter-lived or ongoing catechetical activities throughout the year. These include things like Vacation Bible School, first reconciliation, first Eucharist, confirmation, children’s Liturgy of the Word, Advent or Lent family nights, the Christmas pageant, and the like. It is important that you elicit feedback on all aspects of your programming. If you “lump” together all the programs you oversee into one long evaluation form at the end of the year, you will not get the information and direction you want and need. At this time of year, catechetical leaders are doing more than the usual juggling. On the one hand, there are the day-to-day responsibilities of keeping various programs organized, the ongoing preparation for first Communion and the end of the academic year, and gearing up for summer ministries like Vacation Bible School. On the other hand, you are also looking ahead to the new year that begins in September—scheduling, recruiting, beginning the registration process, ordering materials, and so forth. With so many things wrapping up, it’s tempting to relegate evaluation into the “end-of-the-year” category and treat it like just one more item to check off a list. 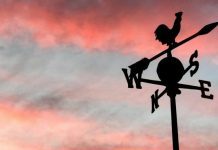 However, instead of thinking of evaluation as some sort of report card, why not treat it as the lens that invites you to see not just what you’ve accomplished—as important as that is to celebrate—but also where the Holy Spirit is leading you and the ministries for which you are responsible? The first step in this spirit-led process is to evaluate year-round, instead of waiting to do one huge assessment at the end of the year. Experienced catechetical leaders say that giving catechists, parents, and students the opportunity to evaluate each program at its conclusion is a more effective approach. For example, many parishes celebrate first reconciliation early in the year, before Christmas. You will get a more timely and valid response if you have participants evaluate this process shortly after its completion while the experience is still fresh in the minds of students, parents, and catechists. Most of us have had the painful experience of getting trapped on a phone or being held captive on the internet for surveys that we were initially assured would be “brief.” While we may begin the survey enthusiastically, if the instrument is too long or cumbersome, we lose interest and become less conscientious as the experience drags on. You have a better chance of gathering helpful feedback about your programs if you keep the process brief, no matter what format you use. Word of Mouth. Make sure you are available to talk informally with participants, parents, and catechists following events throughout the year. Ask questions and gather feedback. Make clear that you care about their reaction to the prayer service, program, or gathering. Listen carefully to their responses and ask follow-up questions if necessary. Take notes and keep them in a file that you will carefully review as you plan for the same—or modified—event next year. Record Your Impressions. A day or two following the conclusion of a program or ministry event, take time to quietly reflect by yourself on the experience. What was your overall impression? What could have gone better? Was the prayer service too long or too short? Was the event well-publicized? How might participation be improved? What changes do you want to make? 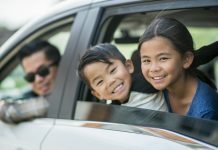 How can you better engage parents? Document your thoughts on index cards and add them to your planning file for next year. Adapt the questions as needed to elicit responses from catechists who taught in the program. Ask parents and catechists to return the evaluations within a week. 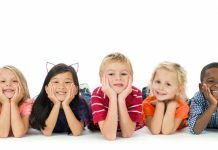 Consider using this “short form” survey mid-year to evaluate your weekly K-8 religious education program. The information you gather may give you the opportunity to quickly address and correct small problems or to begin work on solving a larger issue that surfaces in the evaluation. Imagine, for instance, that a number of parents express their hopes for a greater emphasis on service in the program. Learning about this desire mid-year allows you the time to form a steering committee to address the issue while it is still on people’s minds. The committee could meet during class sessions in the second semester instead of trying to get interested parties to come together on a summer evening after the academic year has ended. Immediately concentrating on a perceived need makes parents and staff aware that you are responsive to their ideas. Interviews. As the year draws to a close, schedule one-on-one conversations with catechists to discuss the religious education program, their experience, and their suggestions for changes and improvements. Use this time to thank everyone who has volunteered in the program personally and to call attention to the contribution each person has made. If your program is very large, you may want to meet with the catechists at each grade level as a group to allow them the opportunity to evaluate the program. Follow up on your conversation(s) with a written—not emailed—note thanking catechists for their involvement in the program and specifically noting the difference they made. Because the weekly religious education program is your main responsibility, you must do a thorough evaluation each year that encourages parents, catechists, and religious education board members to weigh in on their experiences. The instrument you use needs to be both objective—perhaps by rating different aspects of the program on a scale of one to five—and subjective—encouraging comments throughout, especially if a parent or catechist has given a negative rating to one or more elements of the program. You’ll want to have separate forms for parents and catechists. The parent assessment you use should cover the program in its entirety—administration (registration, scheduling, and the like), personnel, textbooks and other resources, communication, parent meetings, and other pertinent areas. The catechist assessment should incorporate many of the same areas, but also elicit reactions to catechist meetings and formation, and ask volunteers to comment on how you can better serve them. See below under “You Don’t Need to Reinvent the Wheel!” for suggestions on finding and adapting evaluation forms. After you’ve gathered information, you’ll need to read every form and take note of both positive and negative comments. If possible, group the comments to see if you can spot any trends or commonalities. For example, you may notice that several parents request that program sessions begin 15 minutes later next year. With a little investigation, you may discover that public school bus routes are changing for the coming year because of budget cuts and that kids will therefore be arriving home later. Moving your sessions back by 15-30 minutes may make life a little less hectic for parents. However, before you make a big decision like this, consult with key catechists and members of your religious education board to get their input. Pay as much attention to the criticism you receive as you do to the praise. If there are repeated negative comments about parent meetings or dissatisfaction about the junior high curriculum (“My child hates to go” or “The kids say they don’t do anything” or “Getting my kid to the junior high classes is a war every week,” and so forth), don’t sweep them under the rug. This is an opportunity to turn a program around. Form a committee of parents and catechists to brainstorm. Meet with small groups of junior-high kids for “pizza sessions” and ask them for ideas and opinions. After you’ve gathered suggestions, decide on what you can—and are willing to—change. Willingness to try new ideas is an important element in creating quality programs. I once met with a DRE who told me she “never does evaluations because all everyone does is complain!” Parents and catechists have a right to complain if their catechetical leader isn’t willing to hear both the good and the bad news. After reviewing evaluations and deciding on what you will add, change, or drop, report back to parents and catechists via a letter in the bulletin. Let them know how much their comments and suggestions are valued. Announce any changes you are making as a result of their input. 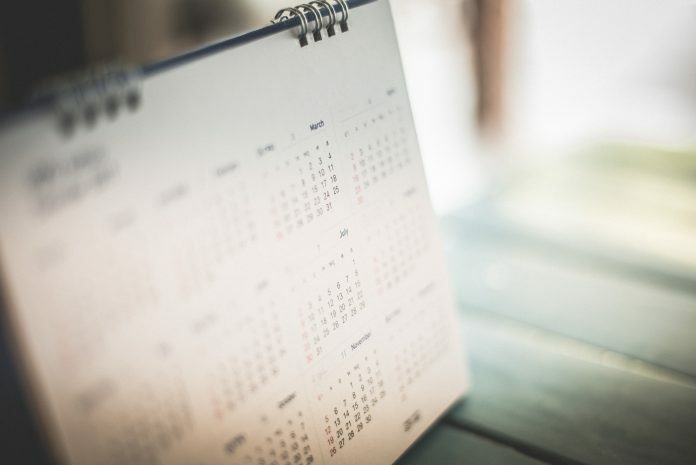 Highlight new events or programs that you are adding to the calendar as a result of input from evaluations. Let them know you all share the same goal: to help the next generation of Catholics come to know, love, and serve the Lord. 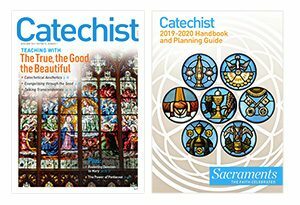 Kate Ristow, contributing editor to CATECHIST, has worked in Catholic publishing for more than 30 years as a national speaker and writer, building on a wealth of experience in the religious formation of children and catechists in both parish and Catholic school programs. Developing an effective program assessment tool is both an art and a skill. Before trying to create new forms from scratch, consider the options below. Keep in mind that because every religious education program is different, you may need to adapt the various evaluation tools that others share with you. • Contact a member of your diocesan religious education team and ask if the office keeps recommended evaluation models on file. Ask that the forms be emailed to you for your review. • Organize a deanery or vicariate “share shop” at a regularly scheduled DRE/CRE meeting. Invite your peers to bring the evaluation forms they use in their programs to share with the group. Ask everyone to duplicate enough forms for the number of catechetical leaders attending the meeting. • Check your textbook publisher’s website for evaluation forms that can be used with parents and catechists. Another excellent online resource is DRE forums. Pick and choose the items that best match up to your program to develop a format personalized for your parish program. CLICK HERE for a resource that enables catechetical leaders to reflect on their ministry. This article was written by the Catechist Staff and appeared in Catechist magazine, January 2015.